Derived from the Tswana word Kgala, meaning “the great thirst”, or Kgalagadi, meaning “a waterless place”, the Kalahari has vast areas covered by red sand without any permanent surface water. The Kalahari has a number of game reserves—the Central Kalahari Game Reserve (CKGR, the world’s second largest protected area), Khutse Game Reserve and the Kgalagadi Transfrontier Park, with a focus on Khutse Game Reserve. 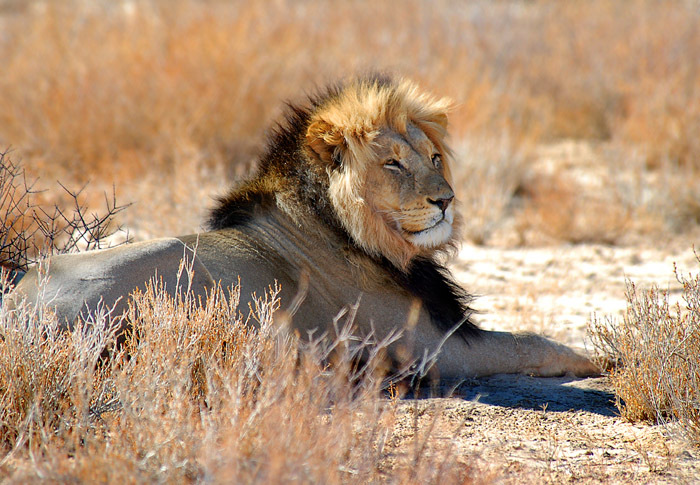 Khutse Game Reserve, which is the southern extension of the Central Kalahari Game Reserve, was established to conserve the pans of the Central Kalahari. Khutse, meaning “place to kneel down and drink”, is renowned for its ancient pans that once formed part of Africa’s largest inland lake. The waterholes now attract a wide variety of game and bird-life and in turn attracting the predators including leopard, cheetah and the famous black mane lion. Activities on offer are a combination of both wildlife and cultural experiences thus offering a complete range of bush experiences from game drives into the reserve, guided walks that interpret the tracks and signs of the wild. Here, one is able to absorb the local culture and traditions of the San (Basarwa) people by enjoying the bushman experience and reflect on centuries of the local history of the land. All activities are focussed into the Khutse Game Reserve. What a great way to explore the bush in true luxury than by staying at the lovely Khutse Kalahari Lodge. This luxury lodge is situated at the eastern gate of the Khutse Game Reserve, just a three hour drive, 220 kms north-west from Gaborone, and is the final frontier before one enters the renowned Central Kalahari Desert and Central Kalahari Game Reserve. 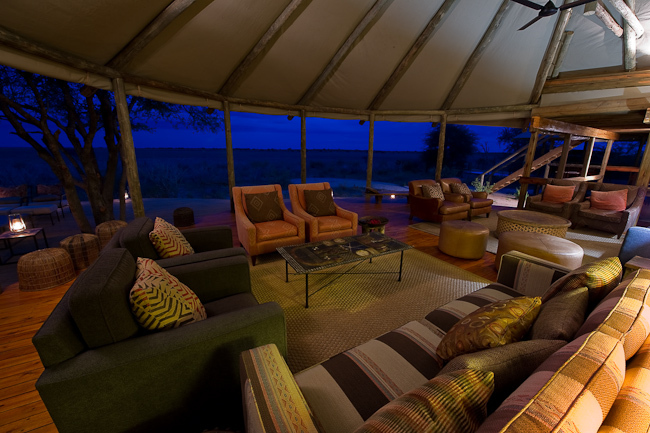 The lodge is only reachable by 4×4 and therefore gives the outdoor enthusiast an unparalleled encounter with the bush. Simple, yet stylish decor ensure maximum comfort and opulence whilst remaining right on nature’s doorstep. Botswana is one of the most diverse and enchanting countries in the world. Here are some of the major reasons collected from tourists who have had the privilege of visiting the beautiful country and why they still consider coming back. Botswana practices a low tourist impact, and with its exclusive tourism policies, the wilderness attractions are largely unspoilt. Thus visitors are guaranteed a wonderfully unique safari adventure. Botswana houses herds of wildlife within its national parks and game reserves and is home to the largest population of elephants in the world. 17% of Botswana is set aside for wilderness preservation. There is no “best time” to visit Botswana as the different seasons all offer completely different experiences! Travel to Botswana is the ultimate game viewing experience no matter when you visit. 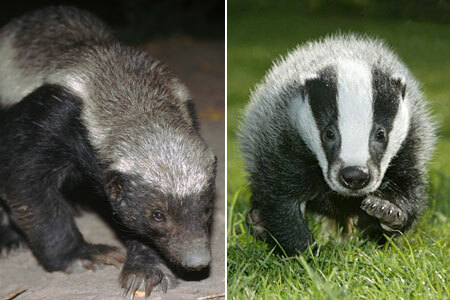 Unfettered by fences, its wildlife is breathtaking. Botswana offers a wide variety of activities for almost everyone; FROM wildlife experience in the form of mokoro (traditional dug-out canoe), motorised boats, 4×4 open vehicles, interpretive game walks TO golfing, hot air balloon safari, fishing, birding, hunting, horse back safari, elephant interaction, scenic flights, cultural interaction. 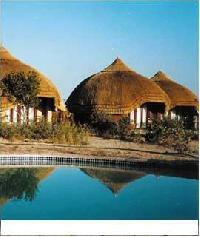 Botswana offers a variety of accommodation from luxury, fly-in camps or lodges to simple bush campsites. A variety of luxury lodges and camps allow visitors to experience the diversity of Botswana’s wilderness areas. Botswana is easily accessible from South Africa, Namibia, Zimbabwe and even Kenya! and has good infrastructure. The Okavango Delta in Botswana, is the world’s largest inland delta – a labyrinth of lagoons, lakes and hidden channels. During Botswana’s dry winter months, the delta swells to three times its permanent size, attracting animals from miles around and creating one of Africa’s greatest concentrations of wildlife. The Kalahari is an extensive national park of Botswana making it the second largest game reserve in the world. The Central Kalahari is probably at its most enticing during the hot and wet season. At this time, the beautiful inter-dune valleys become lush with vegetation, attracting thousands of springbok and gemsbok. You’ll also find good numbers of ostrich and giraffe, herds of wildebeest, excellent cheetah and the Kalahari’s famous black-maned lions. The Tsodilo Hills, which is located in the Okavango Panhandle, is a world heritage site, a sacred site of the Stone Age San. The Hills is the richest rock art site in southern Africa and have over 4,000 catalogued paintings. The country is a birdlovers’ paradise with almost 600 species of birds including many unique and rare species which can be seen throughout the country. 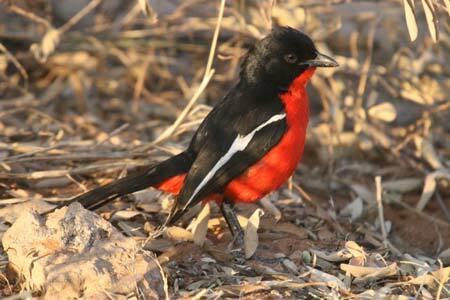 Offers superb birding in some of the greatest wilderness areas. an exciting array of aquatic and terrestrial species. From the world’s biggest bird (the Ostrich) to the heaviest flying bird (the Kori Bustard) to the most numerous of all birds (the Red-billed Quelea), Botswana has a truly impressive variety and quantity of bird species.